As amended on general file, LB596, introduced by North Platte Sen. Mike Groene, would have created a registry system for equine massage practitioners. Groene said the bill would remove unnecessary barriers for people who want to start businesses caring for horses through massage. He said that the current licensure requirements are so restrictive that there are no licensed equine massage practitioners in Nebraska. 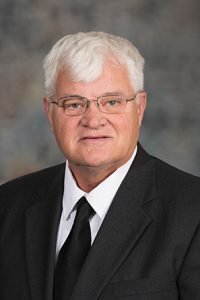 During general file debate, concerns were raised by Heartwell Sen. John Kuehn that the registry still would constitute excessive regulation on the part of the state. He brought an amendment on select file, adopted 34-0, that removed the registry provisions and replaced the bill. The amendment instead defines equine massage practice as the application of hands-on massage techniques for the purpose of increasing circulation, relaxing muscle spasms, relieving tension, enhancing muscle tone and increasing range of motion in equines. The amendment also specifies that an individual who engages solely in equine massage practice would not be covered by the Veterinary Medicine and Surgery Practice Act. Groene supported the amendment, noting that the bill has garnered widespread attention. “I do know that there are three ladies in my county who are anxiously awaiting this outcome so that they can pursue their lifelong dream,” he said. Omaha Sen. Ernie Chambers offered an amendment, adopted 39-0, that added dogs and cats to the bill’s definition of massage practice. LB596 was advanced to final reading by voice vote.